This Caran d'Ache coloured lead set provides professional quality watercolor 3.8mm leads in a set of 18 colors, 2 Technalo water-soluble graphite 3.8 mm leads, 3 Fixpencil lead holders, including sharpeners. 1 squirrel-hair Petit Gris No 12 brush, 1 10ml tube Gouache extra-fine in White, 1 design eraser, 1 glass tube and 1 mixing pan. The leads have highly saturated pigments that are exceptionally lightfast and low powdering. 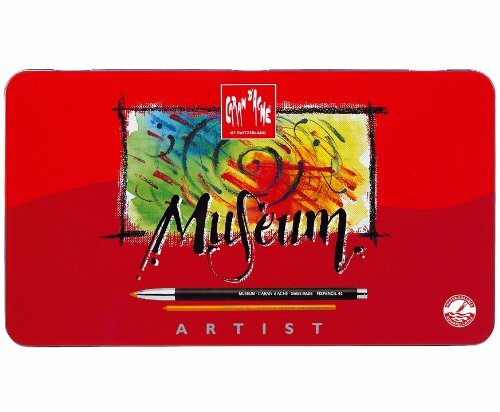 Museum leads can be used for watercolor washes, crosshatching, mixed media and unlimited blending.